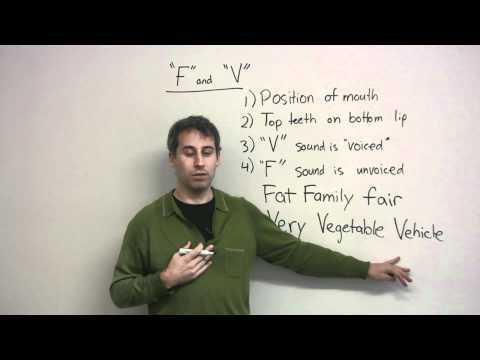 http://www.engvid.com/ Practice your pronunciation of "F" and "V" in English. Do it slowly and master the sounds. A great lesson for all levels.